Eli resident, Rabbi Ahiad Ettinger, identified as victim critically wounded in one of the two attacks in Samaria Sunday morning. 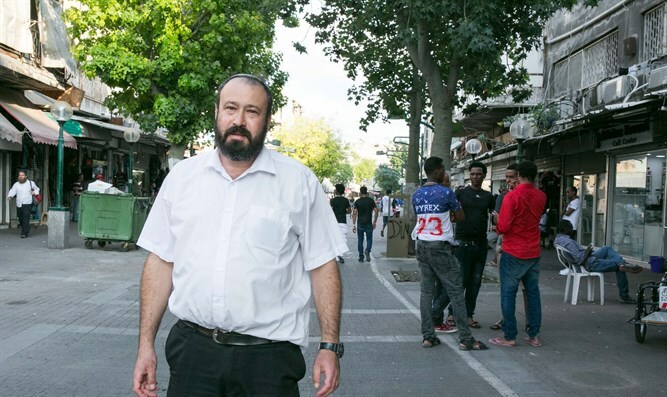 Rabbi Ahiad Ettinger, 47, a father of 12 and a resident of the Israeli town of Eli in Samaria, has been identified as one of the victims of the terror attack in Samaria on Sunday morning at the Ariel Junction in Samaria. The doctors at Beilinson Hospital are fighting for his life. Nineteen-year-old IDF sergeant Gal Keidan was murdered, a second IDF soldier seriously wounded and Rabbi Ettinger critically wounded in two terror attacks in Samaria Sunday. Both wounded victims were evacuated to Beilinson Hospital in Petah Tikva. As doctors at Beilinson continue to fight to save Rabbi Ettinger's life, residents of Ettinger's hometown of Eli held a prayer vigil on his behalf. Rabbi Ettinger, a well-known well-known educational figure in the national religious sector, serves as dean of the Oz V'Emunah hesder yeshiva in the Neve Sha'anan neighborhood of south Tel Aviv. He is a father of 12 children, who range in age from one to 20. An initial investigation revealed that the terrorist apparently stabbed Keidan, stole his weapon and shot Rabbi Ettinger. He then fired from his vehicle at the Gitai Avisar junction, wounding a second IDF soldier, and fled in the direction of Barkan.